Start using Nikon lenses on cameras like the Panasonic GH4 without breaking the bank with K&F Concept’s affordable Nikon lens adapter. 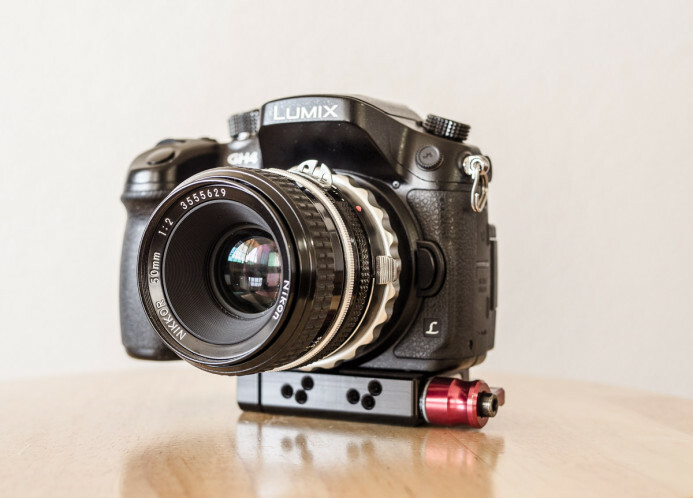 The GH4’s flexible Micro Four Thirds (MFT) lens mount is one of the camera’s biggest strengths. All you need is a simple adapter and you can shoot with virtually any lens. 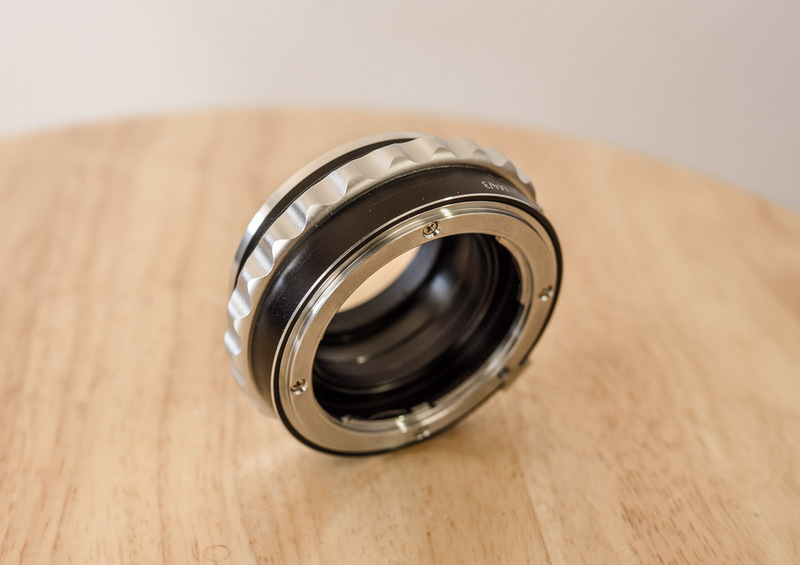 Lens adapters for almost any lens mount are relatively easy to find, but finding an affordable one can prove to be difficult. Cheap adapters are everywhere, but they’re often quite terrible. Poor build quality and a lack of quality control make most cheap adapters more trouble than they’re worth to work with. 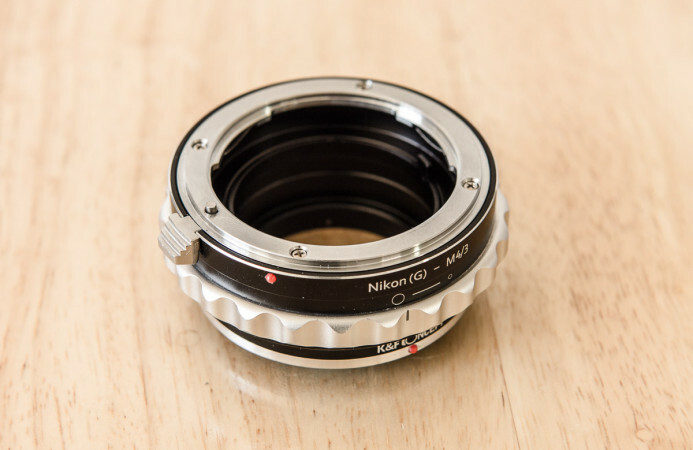 That’s why I was so happy to find K&F Concept’s Nikon lens adapter. For around $15, this adapter is surprisingly good and provides a great way to shoot with Nikon lenses on the GH4. No matter what camera you have, one of the best things you can do to start creating images that you’re happy with is to use an awesome lens. 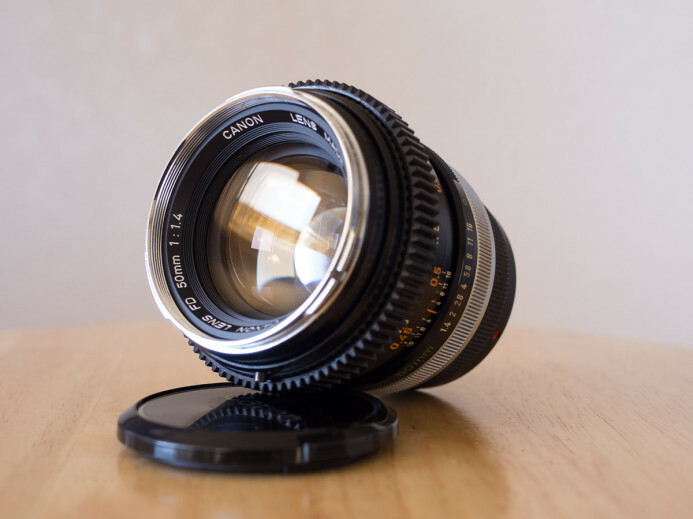 My first awesome lens was the lovely Canon FD 50mm f/1.4 “Chrome Nose” prime lens from 1971 that I picked up for $30. 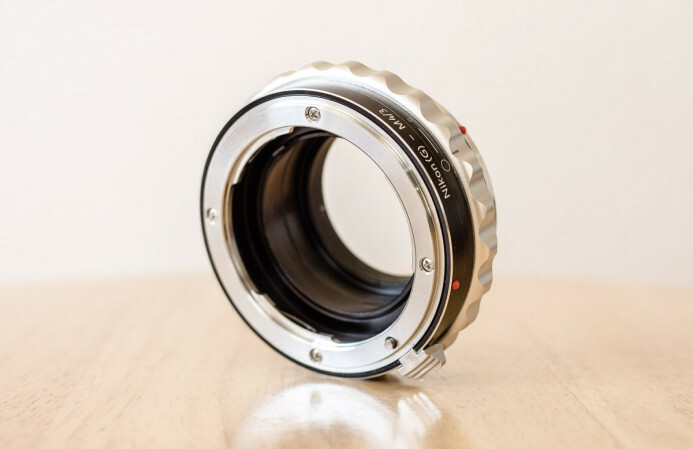 Highly adaptable — a large flange distance allows Nikon-mount lenses to be adapted to a wide variety of cameras, from the Panasonic GH4 to the RED Dragon. 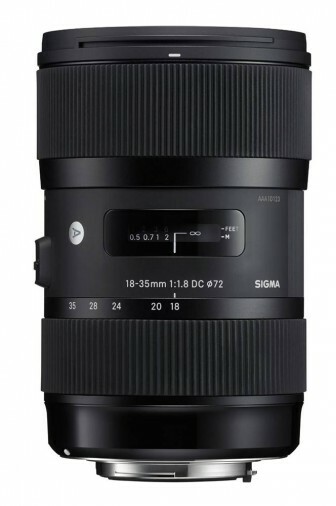 Popular — Nikon-mount lenses are made by a wide variety of manufacturers such as Nikon, Sigma, Tokina, Tamron, and Samyang. Selection — Nikon-mount lenses have been made since 1959, giving you an extensive back-catalog of lenses to choose from. Affordable — vintage Nikon-mount lenses provide affordable access to high quality glass. 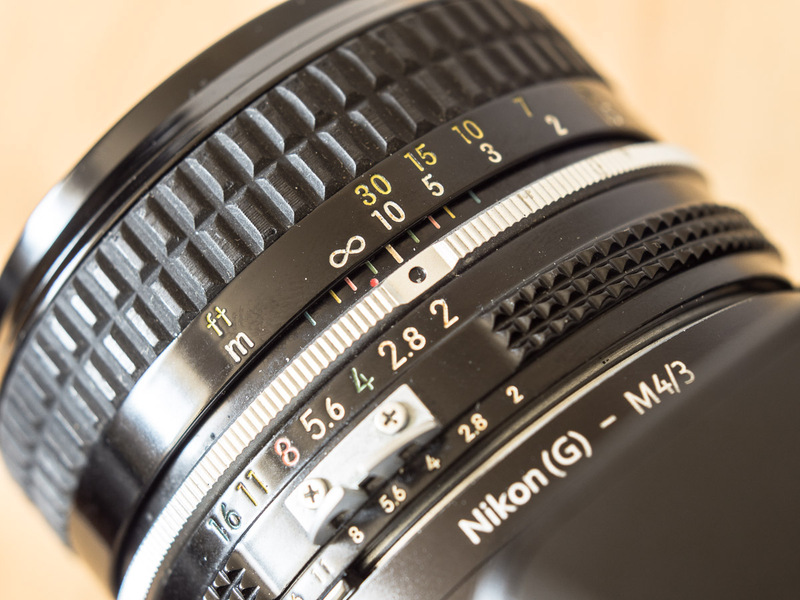 Current — unlike other vintage lens mounts such as Canon FD, the Nikon-mount is still in use and is compatible with modern cameras. Bottom line: The Nikon-mount presents a great way to get a wide range of awesome lenses for your camera without a huge investment. Nikon’s lens mount actually comes in two different flavors– F-mount and G-mount. Both mounts are essentially the same, the only difference is that G-mount lenses do not have manual aperture rings, while F-mount lenses do. As a result, in order to use G-mount lenses, you need an adapter that can adjust the lens’ aperture internally. Nikon G-mount lenses don’t have manual aperture rings. 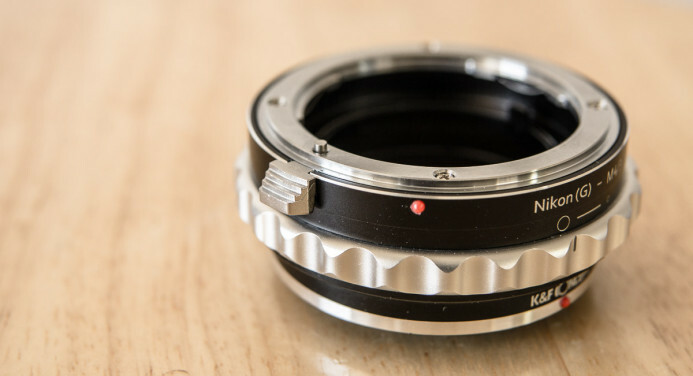 The K&F Concept adapter has a aperture ring built-in, allow you to control aperture on both F-mount and G-mount lenses. The adapter’s aperture ring does not have much throw. The ring takes the lens’ aperture from fully open to fully closed in just 10mm of travel, meaning that making very precise aperture adjustments is not really practical. It’s better than nothing for G-mount lenses, but you’ll probably want to use lens’ own aperture ring on F-mount lenses for the most control. That said, the adapter’s aperture ring does have 6 detents across its range, which makes it easier to maintain a consistent aperture setting. 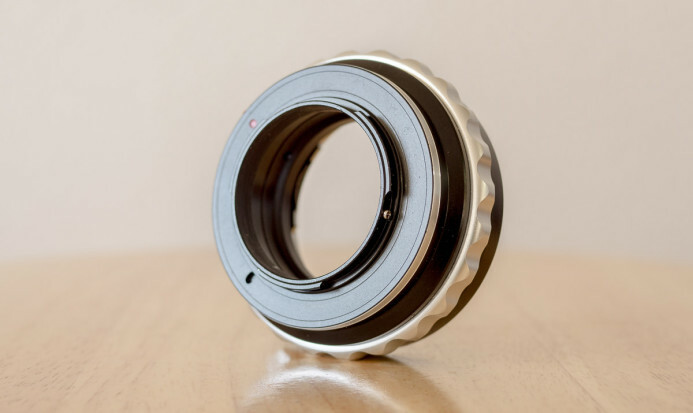 The aperture ring is also nicely dampened to give you more control when making small adjustments and also keeps the aperture ring from slipping if the adapter gets bumped while shooting. Bottom line: Equally compatible with lenses vintage from the 1950’s and today’s modern lenses. The adapter’s aperture ring is nicely dampened, but doesn’t have a lot of travel for precise aperture adjustments. Like all Nikon-mount lens adapters, K&F Concept’s Nikon adapter is passive. Passive adapters provide no electronic connection between the camera and the lens, so all controls are fully manual. This means no in-camera aperture control, no autofocus, and no image stabilization. Depending on how you shoot and the lenses you use, these features may be important or they may not be. For example, if you shoot with cine lenses for narrative projects, everything is manually controlled anyway, so a passive adapter isn’t a problem. On the other hand, if you need to set very specific f-stops, or cannot live without autofocus, a passive adapter may not be your best option. If so, then sticking with native lenses, or using a lens mount with active adapters (such as Canon EF) may be a better option for you. One of the first things you notice right out of the box is that K&F Concept’s Nikon adapter feels solid. Weighing in at 118g, it feels more like Metabones’ Nikon adapter than its flimsy sub-$20 brethren. Fit and finish is good as well. The adapter is made out of anodized aluminum and brass. There are no rough edges and nothing rattles or wiggles. The textured lens release lever slides smoothly and does not get stuck midway like some of the other cheap adapters I’ve used. Bottom line: Solid build quality rivaling adapters costing many times more. Most lenses and adapters have some amount of play when mounted on the camera– even native MFT lenses shift a bit (1mm) on the GH4’s lens mount. That’s just the reality of the spring-loaded bayonet mounts used on modern still cameras (compared to a friction lock used on cine cameras). The K&F Concept Nikon adapter has about 1mm of play on the lens-side and the camera-side, which is not too bad. This amount of play has not presented any real issues when shooting videos, as it takes more pressure to shift the adapter than it does to turn the focus ring on most lenses. As a result, you rarely notice the play in the adapter unless keep turning the focus ring after it has reached a hard stop. Bottom line: The adapter has an acceptable amount of play. In general, it should not affect performance when focusing. One area where many cheap (and even some expensive) adapters fall short is allowing a lens focus at infinity. Lens tolerances are so tight that if the adapter is not made to exacting specifications, your lenses may not be able to focus throughout their entire range (e.g. from their minimum focus distance to infinity). 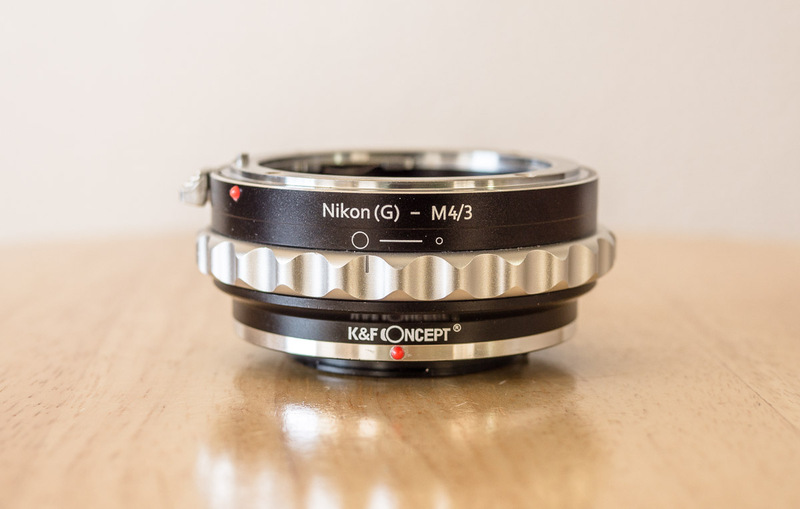 The good news is that K&F Concept’s Nikon adapter has no issues with reaching infinity focus. The “bad” news is that the adapter focuses just beyond infinity, meaning a lens reaches infinity focus before it reaches the infinity mark on the lens. Turning the focus ring any further causes the image to lose focus. 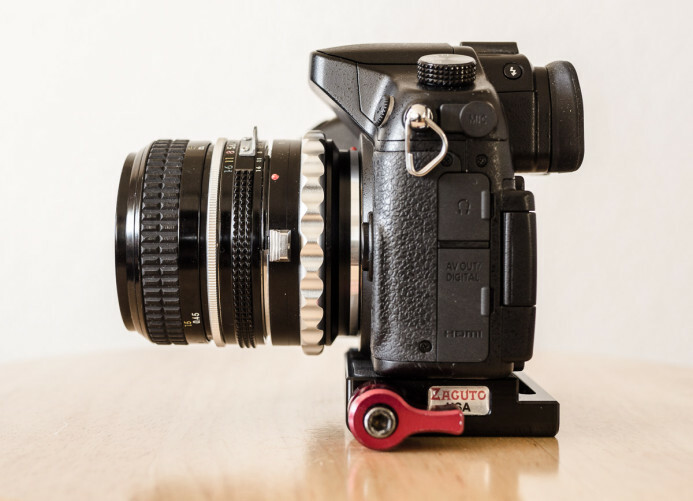 Some adapters are just made slightly short of the exact flange distance to ensure that all lenses will be able to reach the infinity focus– even Metabones’ $140 Nikon-mount adapter is designed this way. It is a minor annoyance as you’ll need to pay more attention when focusing to infinity, rather than simply swinging the lens’ focus ring to its end stop. Bottom line: Adapter allows for infinity focus, but also focuses beyond infinity, which can be annoying while shooting. The beauty of adapting lenses to cameras like the Panasonic is that you don’t have to go all in on a single mount. Adapters give you the freedom to bring a unique style or aesthetic to each project by shooting with a wide variety of lenses. As long as you are aware that your lenses will focus beyond infinity, K&F Concept’s adapter is surprisingly well-built and performs well. 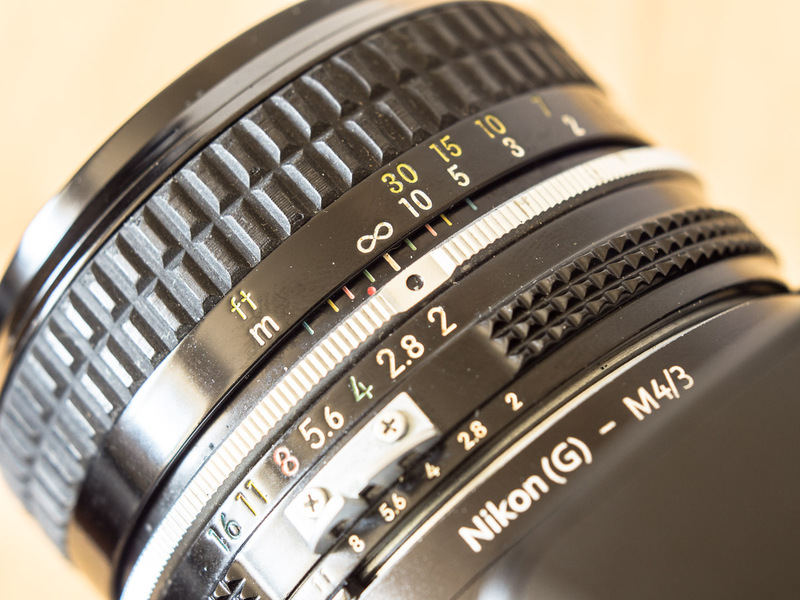 For only $15, it’s a great way to gain access to a vast catalog of awesome vintage and modern Nikon-mount lenses.